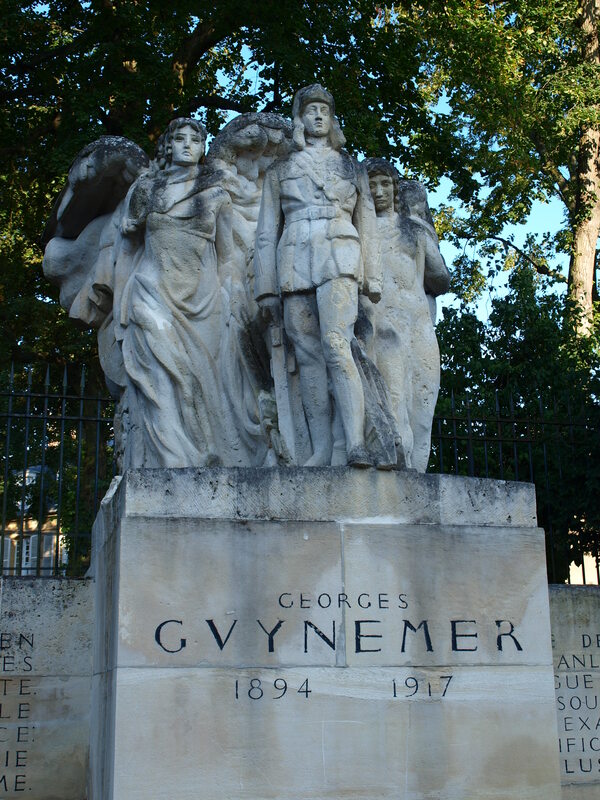 GEORGES GUYNEMER is my new hero! I hadn’t heard of him until we chanced on this magnificent Art Deco memorial in Compiègne — his adopted home town — on our way home from holiday in August this year. Googling revealed that he was an extraordinary WW1 air ace, having shot down over 50 enemy aircraft (using his favourite attack technique of flying straight at the enemy and ‘not using aerobatics unless absolutely necessary’), crashed and survived seven times (despite not having a parachute), and disappeared in action in 1917 at the age of only 22. Great hero, amazing that he is not better known outside France. 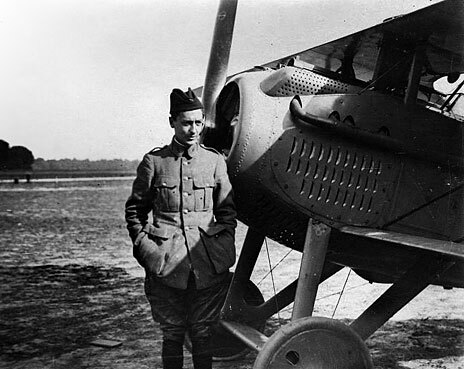 Besides Compiègne, there are also memorials to him at the Panthéon in Paris and at Poelkapelle in Flanders, where he disappeared (French schoolchildren are told that he ‘flew so high he could not come down again’).